Sky is set to lower the charges it makes to the four public service broadcasters after complains that the prices were excessive. The BBC will have 5.5m back, 5.7m will go to ITV, 2.3m to Channel 4 and 600k to Channel 5. This is enough to reduce the proposed cuts to BBC local radio. Back in August, UK Free TV reported (Paying Sky for free public service television) that the public service broadcasters were being charged many millions of pounds to have their programmes listings provided to Sky customers. Today, Broadcast reports (see BBC radio gets boost as Sky slashes retrans fees - News - Broadcast) that Sky will halves the costs to these broadcasters. BBC, £9.9m reduced to £6m in 2012 and £4.4 in 2014. The savings to the BBC will be used by the corporation to reduce the proposed cuts to BBC local radio. "The value Sky gets out of carrying BBC channels is huge, if Sky had to pay for that it would be hundreds of millions of pounds," said Tate. "Licence fee payers are being unfairly disadvantaged, the logic is that Sky should be paying to carry the most popular channels." It is still worth noting that almost three quarters of viewing of TV channels (by Sky subscribers and non-subscribers) is to free-to-air channels provided by the main public service broadcasters, the BBC, ITV plc, STV, UTV, S4C, Channel 4 and Channel 5. How does Sky calculate the charges to the BBC? EPG listing charge: £21,000 per TV channel per year, £16k per radio channel per year. 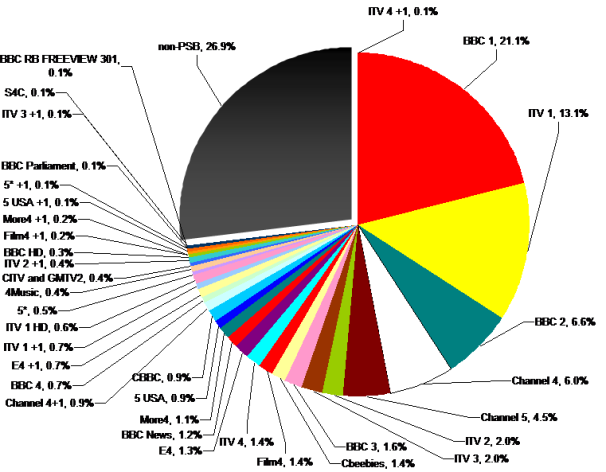 The BBC list 11 TV channels excluding the 20 regional variations of BBC One and Two, and 18 radio channels. That's £231k for the non-regional plus £420k for the regional slots, and £288k for the radio stations, £939k total. BBC Alba, BBC Parliament, BBC HD and BBC One HD pay the £92k 'Other Television Channels' charge and the 18 radio stations the £6k charge. Rob: They don't do everything twice! It is the same service (received from the same signal) that appears in different positions of the channel list, depending on the tuner being used. Sky and Freesat tuners are selective as to which services they load into their EPG, a generic satellite receiver simply lists all available services.